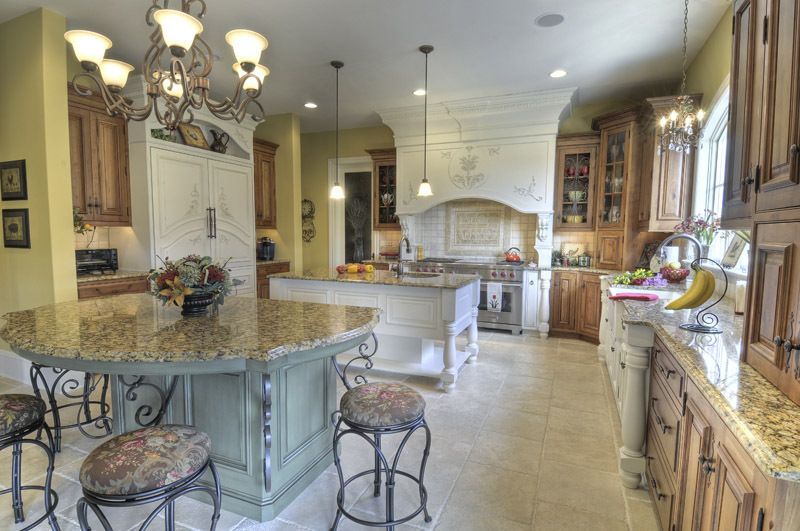 Nestled in Lancaster County this French Country Kitchen boasts 2 islands, a large hood with commercial range, fully integrated refrigerators and dishwashers. Hidden within the island is the dishwasher. 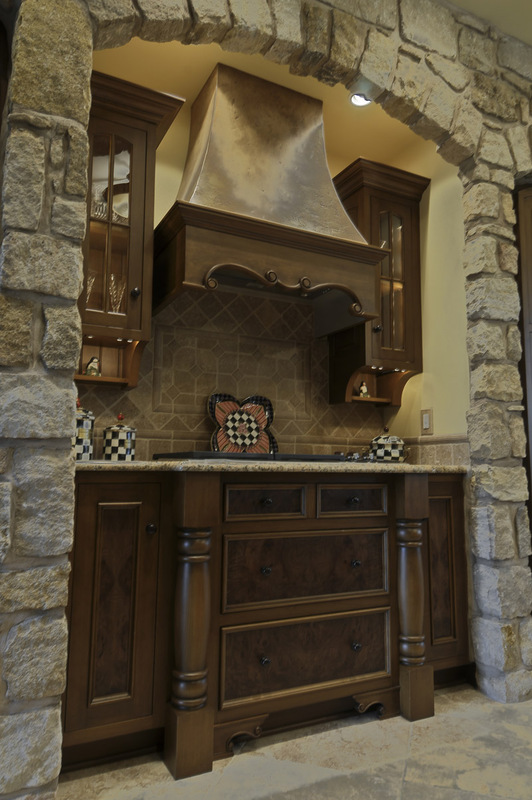 Custom panels are an excellent way to hide appliances and keep them within the work triangle. The final finish of three finishes, is a warm stain glaze on Rustic Pennsylvania Black Cherry. 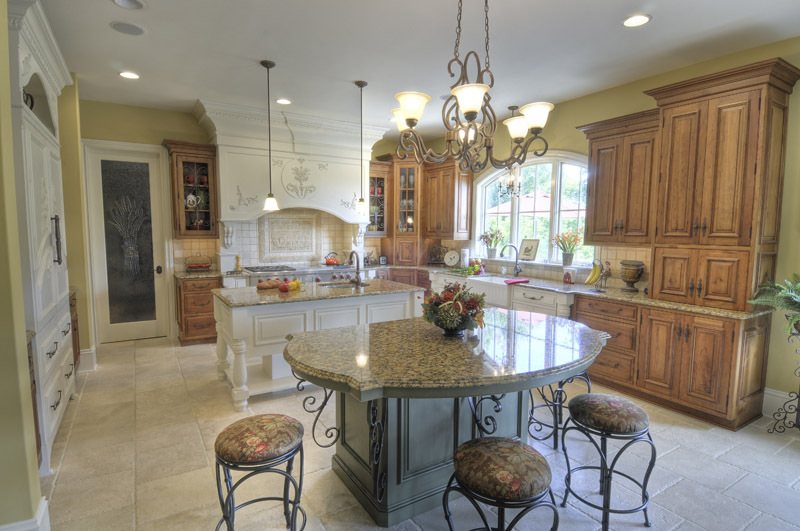 Using multiple finishes helps to enhance the character and charm of this French Country home. “We hired Colonial Craft to redesign our kitchen as part of a whole house renovation. We were so impressed with the quality of their product and the design ideas they proposed that we had them provide new cabinetry for the entire house including bathroom cabinetry, built-in television centers for our master bedroom and family room, and a hideaway unit. We worked with Nora on the design and we were incredibly happy with the process.